Some of them are furry, others fuzzy; many of them appear to be animals, others look like humans; most of them are nutty, others (a little bit) more sensible; all of them, though – all of them – are unforgettable and utterly brilliant. They are The Muppets. And, for all the reasons listed above (as if they actually needed listing) as well as because their brand spanking new film opens in the UK this month, they are the latest, unquestionably deserving inductees into the ‘Legends‘ corner of this blog – quite frankly, it’s a mystery how it’s remained a Muppet-free zone for this long (indeed, I can reveal Gonzo’s tried to fire himself out of a cannon and into it before now; but then, well, he is Gonzo). In fact, owing to their awesomeness, The Muppets will also be the focus of the next three posts of this blog, as ‘Muppet Mania’ verily infects this little nook of the ‘Net. There’ll be a piece on the cult favourite flick Labyrinth (1986), a review of the aforementioned new Muppets movie and, yes, a ‘Talent‘ post as well (no, really). But before all that, in this post let me detail just why our favourite felt friends are so damn legendary. As with many Muppet stories, this one begins with Kermit. Short, gangly, green but very affable (a bit like a cross between Mickey Mouse and the most amiable chat show host imaginable), Kermit The Frog was the first Muppet to make contact with the human world – and the first to appear on television. This rather monumental event took place in May 1955 on the show Sam And Friends (1955-61), broadcast on the NBC-owned local Washington DC station WRC-TV. Sam And Friends was the brainchild of Kermit’s (and the other Muppets’) closest human friend and collaborator, the one, the only Jim Henson. 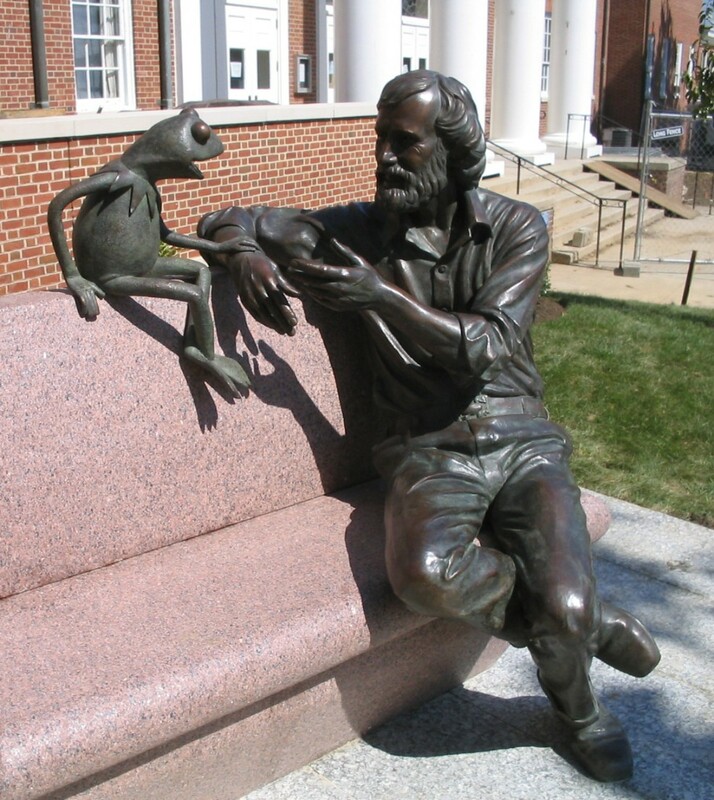 Unlike Kermit (who, in a recent interview claimed he was born in a swamp with 3,265 tadpole siblings), Henson was born in Greenville, Mississippi in 1936 and, in the late 1940s, moved with his family to Hyattsville, Maryland, near Washington DC. It was here, while in high school, he began working in television and created puppet characters for a local station’s Saturday morning kids’ programme The Junior Morning Show. On leaving school, he enrolled at the University of Maryland and in his freshman year was approached to create Sam And Friends. 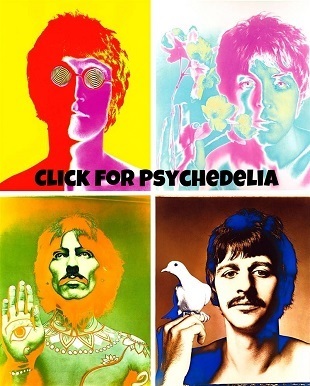 The show went out daily and comprised five minute-long episodes of sketches and skits; some of them pastiche, others more counter-culture-esque existential (see first video clip below). 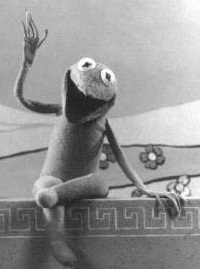 It featured several characters, including both the titular and human-looking Sam and, of course, Kermit (whose appearance and voice was unmistakeably that of the later Kermit, even if he was yet to inform viewers he was definitely a frog). In the ’60s Kermit took something of a back-seat and allowed other Muppets to come to the fore. Several appeared in TV commercials and, accompanying Henson, others guested on talkshows. The culmination of this were the several appearances between ’63 and ’66 of the jazz piano-playing, laid-back dog Rowlf on The Jimmy Dean Show (1957-75). Like Kermit, Rowlf had already appeared on the box (in Purina Dog Chow commercials), but his guesting alongside country star Dean, which practically propelled him to sidekick status on the latter’s variety show, ensured Rowlf became the first recognisable Muppet on US network television. By 1963, Henson, along with his wife Jane and his growing young family, had moved to New York and formed an entertainment company he entitled Muppets Inc. (the name Muppet perhaps deriving from a combination of the words ‘marionette’ and ‘puppet’). Around this time too, Henson began working with writer Jerry Juhl and Frank Oz; his friendship and collaboration with the latter would last the next 27 years. As the ’60s progressed, the trio drifted towards producing Muppet-featuring experimental films, one of which, Time Piece (1965), was nominated for a Best Short Film Oscar. And at the end of the decade their hard work began to pay off when they started work on a project that resulted in their Muppet friends finding their first – and an unquestionably iconic – home on television. The project was a learning-driven show for young children that would become Sesame Street. 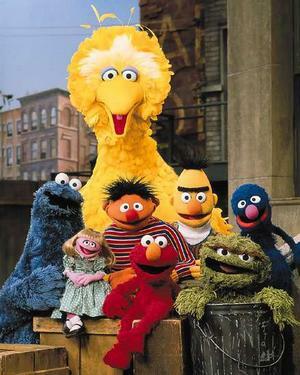 Conceived by the non-profit organisation Children’s Television Workshop (now Sesame Workshop) and broadcast by the Public Broadcasting Service (PBS), Sesame Street (1969-present) combined scenes shot on a realistic looking urban set (‘Sesame Street’) starring both human and Muppet characters with film and animation inserts, many focusing on counting and learning the alphabet. The style, colour and vibrancy of the show was revolutionary, ensuring it was an immediate public and critical hit – today it’s considered one of the greatest and most important children’s TV shows of all-time; by 2008 an estimated 77 million people in the US had watched it (and countless more around the world), while by 2009 it had won a staggering 118 Emmy awards. Unquestionably, the most memorable members of Sesame Street’s Muppet cast – Bert and Ernie, Big Bird, Oscar The Grouch, Cookie Monster, Count von Count, Aloysius Snuffleupagus and, of course, Elmo – have become fixtures of the cultural firmament. And owing to its success and their role in that, they can also lay claim to being the first Muppets truly to capture widespread public imagination. Well, that is if they don’t mind admitting they share that honour with, yes, Kermit. For right from the show’s off, in his role as its ‘roving reporter’, Kermit was just as much a part of Sesame Street as any other Muppet. 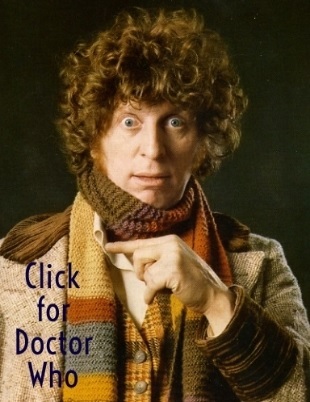 Indeed, it was in this role he defined his on-screen identity for forever after as the sensible if ironic Muppet at the centre of chaos; the one with which human viewers could perhaps most identify. In short, he was the calm at the centre of the Muppet storm. The real Muppet storm was still a little way off yet, though. It was precipitated by Henson’s decision to widen the appeal of his Muppet pals beyond Sesame Street viewers to more of an adult, or at least family, audience. His first major step in doing so was in securing them among the cast of rising comedians on the opening season of the now legendary Saturday Night Live (1975-present) . Although an instant, game-changing hit, the NBC sketch show didn’t prove the perfect platform for Henson’s furry charges, not least because the show’s writers seemed to find it much easier to write for humans, thus they didn’t return for its second season. However, if SNL didn’t need the Muppets to flourish, very soon the Muppets proved they didn’t need SNL to flourish. For just one year later, yes, The Muppet Show (1976-81) finally arrived on our screens (see video clip below). Henson had been wanting to get a Muppet-only variety show on prime-time network TV even before flirting with SNL, having produced two pilots in ’74 and ’75 respectively. However, the project really got off the ground thanks to a loosening in US TV syndication rules. He struck a deal with all-powerful UK telly mogul Lord Lew Grade to make a Muppet-centric show with the latter’s ATV Productions, which would be broadcast first on ITV; after which it would be sold to US networks and so could be very quickly shown in syndication. This meant that Henson and the Muppets crossed the channel and set up home at Elstree, just outside of London, ensuring The Muppet Show could be said to be as British as it was American. Well, the money behind it was British, at least. The show was, of course, a vaudeville-style variety showcase set in a theatre loaned to the Muppets (given its filming in the UK, does this mean their famed theatre is actually located somewhere over here?). Yet, unlike the old song-and-dance shows it resembled, it also gave viewers peeks behind the scenes, most often in the theatre’s wings, as well as at certain audience members who tended not to be very positive about what they were witnessing (yes, Statler and Waldorf, I mean you). But it’d take a heavy-hearted soul who wasn’t entertained by The Muppet Show. 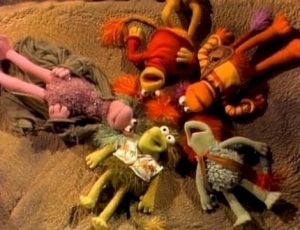 In allowing the outrageous slapstick-fuelled antics and almost always absurdist pursuits of the Muppets free rein, Henson’s half-hour shows didn’t just aspire to the variety efforts of old, but also knowingly and pleasingly subverted them and other instantly recognisable TV genres – in fact, nothing was safe from being, ahem, Muppet-ified. Take the near-insane blue dynamo Gonzo The Great’s efforts to push entertainment to ever more explosive highs; Fozzie Bear’s stand-up sets in which his jokes are always dreadfully received; the news flash in which The Muppet Newsman describes a disaster or unsavoury event that then immediately befalls him; the cooking show parody featuring the delightfully deluded Swedish Chef; the Star Trek take-off that was Pigs In Space with its star Link Hogthrob; the General Hospital soap opera parody that was the Rowlf-as-a-doctor-featuring Veterinarian’s Hospital; or the constant confounding of prudish Sam The Eagle’s efforts to ensure the show only features clean, wholesome, family entertainment. No question, The Muppet Show quickly became a phenomenon. There had been nothing quite like it before, or indeed has there been since; certainly not in prime-time. As with the most popular television entities, its universal appeal ensured it crossed every demographic – at last, Jim, Kermit and their furry friends had cracked it. 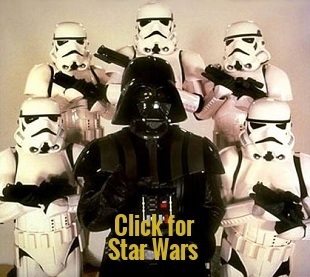 Just check out their genuinely stellar guest-star list. Every one of the 120 episodes of the show featured a human guest invited on by the Muppets, often to be flummoxed and/ or ridiculed by the fuzzy insanity to which they’re exposed. To begin with, guests included showbiz friends of Henson’s such as actor Joel Grey and musician Paul Williams, only eventually to stretch to everyone from Steve Martin to John Cleese, Elton John to Peter Sellers and Roger Moore (at the height of his Bond fame) to Rudolf Nureyev (twice). Indeed, the show ensured that in the late ’70s its real stars, the Muppets themselves, became as much a part of the Anglo-American cultural zeitgeist as disco music, punk, Farrah Fawcett posters and, yes, Star Wars (1977). 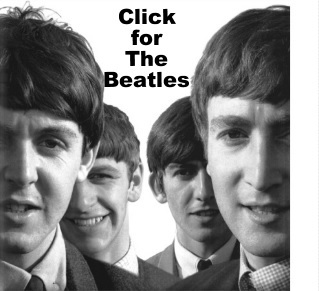 They were everywhere; on music albums, in comic books and on magazine covers. And, it may be fair to say, one of them was beginning to find her way into or – perhaps to be exact – ingratiate herself into people’s hearts more than any other. Before The Muppet Show, Kermit had always been the front-man and while this essentially remained so, especially given he was the show’s first-in-command, as the programme evolved, grew and became ever more popular, he began to share the lion’s share of the limelight with the girl, or rather pig, who appeared to fancy the pointy collar off him. Miss Piggy’s passionate, brash, judo-kick-packing, all-round diva personality endeared her to peeps across the globe in a way no human counterpart surely ever could. Alongside Kermit, The Muppet Show unquestionably made stars and much loved household names of Fozzie, Gonzo, sidekick Scooter, the lab-based Bunsen and Beaker and maniacal monosyllabic drummer Animal, but Piggy was the one who arguably became one of the faces – if not one of the blonde bombshells – of the 1970s and, in addition to her would-be frog lover, the face of the Muppet brand. But were Kermit and Piggy really an item? This question and others – most pertinently where each of the major Muppets actually came from and how they all originally met – were answered thanks to the gang’s next next logical step. In fact, as it was a proper Hollywood flick, it was really a giant leap. 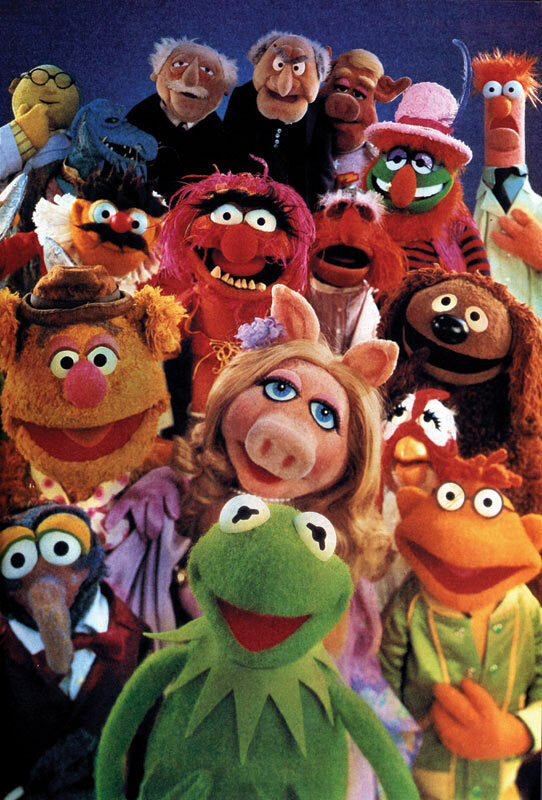 The Muppet Movie (1979) was made and released at the height of the show’s popularity – and reaped the rewards. 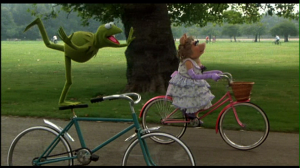 It’s a film that’s unsurprisingly wacky (its narrative uses the film-within-a-film device and the ‘fourth wall’ is broken more than once), absurdist (one character hands another the film’s script at one point), surprising (Kermit is shown riding a bicycle and others drive cars) and full of songs (its signature tune The Rainbow Connection won a Grammy and a Golden Globe and was nominated for an Oscar). A costly venture for backer Lew Grade at a price-tag of $28 million, it made its money back and more by pulling in $77 million at the box-office, ensuring it wasn’t just the seventh biggest money-spinner of its year, but also that more Muppet movies would inevitably follow. With a taste for filmmaking now, Henson and Kermit and co. knocked The Muppet Show on the head in 1981 (going out at the top is always better than when in decline, after all) and focused practically full-time on the movie business. That same year the London-set, heist-themed The Great Muppet Caper came out, to be followed three years later by the similar madcap adventure hokum that was the Broadway-based The Muppets Take Manhattan. If these two sequels weren’t quite as well received by critics as their predecessor, they still raked in the moolah, making a combined total of over $55 million from ticket sales. 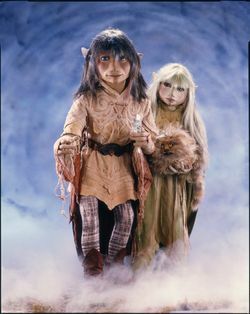 Henson also struck out on his own, as it were, with the $40 million-grossing The Dark Crystal (1982), a more adult-oriented fantasy adventure featuring neither humans nor Muppets, but Gelfings, and with modernised fairytale Labyrinth (1986), which starred an unforgettable David Bowie and a young Jennifer Connelly alongside many Muppet-like creatures. Surprisingly, at the time Labyrinth wasn’t brilliantly received (both the public and the critics found they could leave it rather than take it), but nowadays it’s arguably more fondly recalled than The Dark Crystal, boasting a fan base that’s more mainstream than the latter’s undeniably cult following. Apparently, the relative failure of Labyrinth plunged Henson into a genuine low, not that it necessarily should have. For if, by the mid-’80s, his cinematic ventures may have taken a mis-step, his (and the Muppets’) TV efforts were still very much on song. Launched in 1983 and filmed in the UK but broadcast throughout the world, kids fantasy show Fraggle Rock (1983-87), featuring a race of cuddly, Muppet-like, subterranean creatures, became an instant hit and today is rightly looked back on with enormous nostalgia. Similarly, the weekend-morning children’s animated series Jim Henson’s Muppet Babies (1984-91), with its re-imagining of the major Muppet stars as toddlers together in a nursery (as they had been previewed, in fact, in The Muppets Take Manhattan), proved a long-running spin-off success that spawned its own merchandise, including soft toys and comics. However, after having launched several more TV projects and contributing to the realisation of the turtles themselves for the live-action box-office hit Teenage Mutant Ninja Turtles (1990), Henson’s long, illustrious career came to an end. And, frankly, in the most tragic way imaginable. At the age of just 53, Jim Henson died on May 16 1990 from organ failure owing to contracting an extremely rare, fatal bacterial infection – he had first felt unwell just 12 days before. 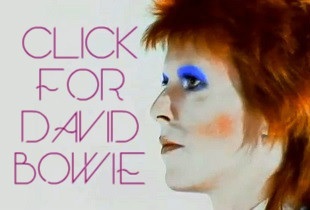 The show business community on both sides of the Atlantic, indeed, across the world, greatly mourned his passing. He was a visionary, a revolutioniser and then giant of family entertainment; someone who surely deserves to be spoken of in the same breath as Walt Disney. Yet, despite the loss of their mentor, the Muppets went on. In 1992, under the direction of Jim’s eldest son Brian, they starred in The Muppet Christmas Carol. It may have been released by Disney, but it’s wholly a Muppet venture and, to my mind, terrific – indeed, nowadays it seems to be well on the way to being considered a classic yuletide flick. Featuring Michael Caine as Scrooge (who agreed to be involved apparently because all his friends had already worked with the Muppets), it’s full of familiar furry faces, but pulls no punches; it’s a more faithful adaptation of Charles Dickens‘ timeless tale than countless other efforts. Spurred on by this success, there was real Muppet momentum again in the mid-’90s as Brian Henson and the gang teamed up again to produce Muppets Tonight (1996-98), a sort of updating of The Muppet Show with star guests such as Michelle Pfeiffer and Pierce Brosnan. 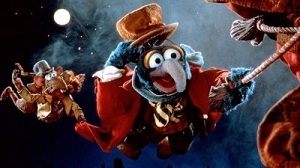 They then adapted Robert Louis Stevenson’s pirate fable as Muppet Treasure Island (1996) – to even greater financial success than Christmas Carol – and followed this up with Muppets From Space (1999), in which Gonzo’s origins were finally explained (yes, he’s an alien). Then, in 2004, Disney took the plunge fully and bought the Henson family company (formerly Muppets Inc., now The Jim Henson Company). Unfortunately, having now made this acquisition, for much of the ’00s Disney didn’t really seem to know what to do with its new employees. Small-screen specials, TV movies and straight-to-DVD flicks came and passed, but there was a feeling that the giant studio was somewhat squandering the talent it had at its fingertips in the shape of its Muppet friends. Occasional guest-star appearances on prime-time shows on both sides of the pond suggested they were still greatly loved – not just by older peeps who grew up with them, but by young ‘uns too – thus, there was still undeniably an audience for the Muppets ready, willing and waiting for another big-time project – if The House Of Mouse could find one that fitted. Indeed, by the end of the decade several Internet-based efforts underlined this fact. Already the web-series Statler And Waldorf: From The Balcony (2005-06) had gone down well with the ‘Net crowd and then an awesome Muppet-ified video of Bohemian Rhapsody (see video clip below) went down a storm, while Muppet pastiches of notorious print ads and film posters made waves across cyberspace. And now it feels like it’s 1979 all over again (well, it is a time of austerity with a Tory government once more, ahem); no, what I mean is there’s a new Muppet movie out in cinemas everywhere, making millions and pleasing the punters and the critics in equal measure. Is it any good? Well, I can’t answer that question, as I’m yet to see it (and will, as mentioned, review it here when I do), but the word of mouth certainly says it is. 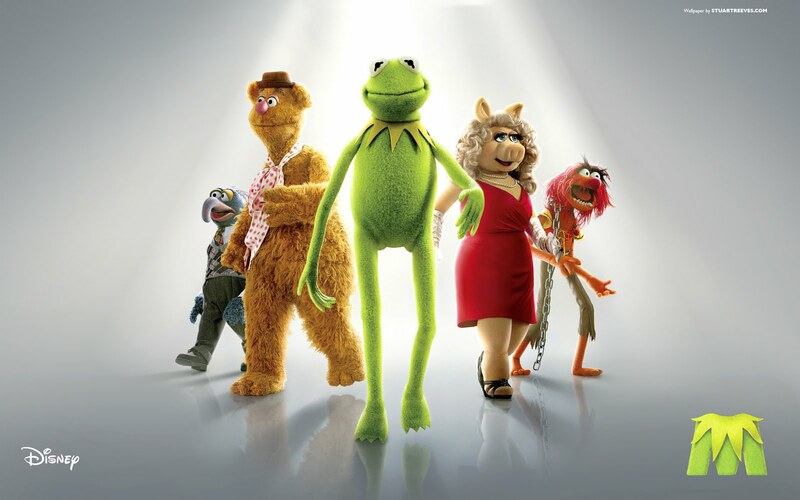 Like any and surely every Muppet fan, I’m damn well excited because it’s time to play the music, it’s time to light the lights, it’s time to meet the Muppets – yet again. But then, it’s hardly as if they’ve really been away. How could they have been? They’re the Muppets; they’re just too darn well legendary. I really enjoy reading your blog and this is another great one on a programme I have a particular affection for. I used to watch it faithfully every Sunday night and the theme tune is has been permanently stuck in my head ever since like a case of tinnitus! A wonderful commentary on the muppets and I certainly learnt a thing or to. Sadly I missed the film at the cinema, but will definitely see it as soon as it gets to DVD. Maybe though the best thing I can say about the Muppets is that my treasured copy of the best bits of the Muppet show DVD is more than a guilty pleasure, it brings a smile to my face whenever I need one, and in this world maybe that is the best tribute Jim and the Muppets can receive. In 2012 they are still relevant, they make millions smile and the world would be a worse place without them…….